I stumbled into radio 20-years ago and have kept on stumbling ever since. I’m in year 10 hosting McIntyre in the Morning on 790 KABC in Los Angeles, heard weekdays at the ungodly hours of 5-10 AM (Pacific). That’s not a typo. Five hours of me prattling on about whatever. Growing up in New York I was part of Shep’s Army, a generation of kids who snuck a transistor radio under our pillows at night so we could listen to the great radio raconteur, Jean Shepherd. As a kid I wanted to be Jean Shepherd. I still do. When I say I “stumbled” into radio I’m not exaggerating. In 1993 I was a guest on The Ray Briem Show on KABC to talk about a cover story for American History Illustrated magazine I had written about the Wright Brothers. (click here.) My scheduled one-hour guest shot lasted four hours. While driving home I thought, “What a fantastic gig! Where else can you ramble on for hours about the kind of esoteric crap I love?” Amazingly, after Ray retired, I was offered his overnight shift. I called the show Red Eye Radio thinking it would create a cool night flight vibe. I quickly discovered the name had a double meaning since half the listeners were either drunk or stoned. Still, they seemed to like the eclectic mix of current events, history and in-studio performances by mostly jazz musicians, many of whom were also drunk or stoned. Amazingly Red Eye Radio became the #1 overnight show in Los Angeles. In 2004 KABC moved me to mornings. In 2009 KABC moved me out of mornings and into the lucrative field of unemployment. But when the calendar flipped to 2010 the same company that fired me three weeks earlier hired me to launch a national edition of Red Eye Radio heard on over 100 stations, with powerhouse 77 WABC in New York City as the flagship. In 2015 I also hosted a one-hour weekday show, Right Now with Doug McIntyre for WABC, which meant I was now babbling for six hours a day. While you can’t fool all the people all the time I have consistently fooled my peers in Los Angeles who voted me among the 10 Best Radio Personalities in the annual LARadio.com survey. I’m also a regular on Talkers.com’s list of the Heavy Hundred but recently I’ve dropped a few pounds so I may no longer qualify. 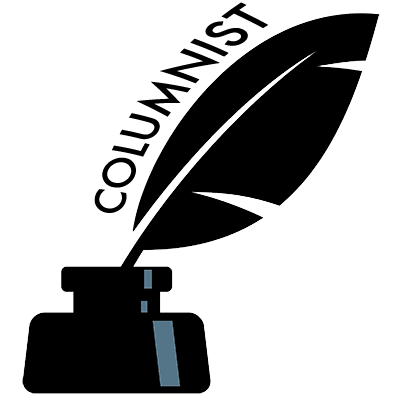 I’ve written more than 500 columns for the Los Angeles Daily News covering world, national and local news events and my daily struggle trying to survive as an analogue man in a digital world. In 2010 the California Newspaper Publishers Association gave me their “Best Columnist Award.” Apparently my work has gone downhill because I've never heard from them again. You can read my column every Sunday at www.DailyNews.com or-- if you find yourself in the L.A. area-- you could spend a buck and buy an actual paper while they’re still making them. I also am a frequent contributor to The Daily Beast @ www.TheDailyBeast.com. On the set of WKRP in Cincinnati. Long before I started yakking on the radio I moved to Hollywood to write for television and the movies. I’m shocked to realize that was 30-years ago. (Yes, TV was in color) Over the years I’ve worked for all the major networks, including PBS and Showtime. After hustling jokes and gags to comics in New York City, I landed a job writing and producing commercials, a job that brought me into the orbit of Jack Klugman, star of the iconic sitcom, The Odd Couple. In comedy timing is everything and for once my timing was perfect. Klugman had just signed to star in a new sitcom for NBC called You Again? alongside a young actor named John Stamos. Jack hired me as one of the show’s writers, prompting the move west in 1985. I went on to write for WKRP in Cincinnati, Full House, (again with Stamos) Married… With Children and Mike Hammer – Private Eye, on which I served as co-executive Producer. I was nominated for a Humanitas Prize for the acclaimed PBS animated series, Liberty’s Kids. I did not win. For the full list check out my IMDB page. One of the quirkier chapters in my writing career came on an episode of the CBS series, A League of Their Own directed by Tom Hanks with an “assist” from Federico Fellini. If you ever run into me, ask, I’ll be happy to tell you about it. 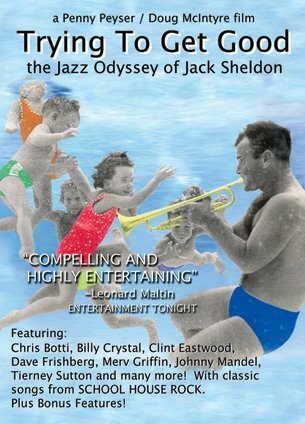 Along with Penny Peyser, I wrote, produced and directed the award winning feature documentary, Trying to Get Good: the Jazz Odyssey of Jack Sheldon (available on DVD) featuring Clint Eastwood, Billy Crystal, Merv Griffin, Dom DeLuise, Chris Botti, Dave Frishberg, Tierney Sutton and multiple Academy Award © winners Alan Bergman and Johnny Mandel. Who is Jack Sheldon? You may remember him as Merv Griffin’s comedic trumpet-wielding sidekick, or the indelible voice on School House Rock, but musicians know him as a jazz giant. Unlike his close friend and collaborator, Chet Baker, Jack Sheldon survived the demons of drugs, alcohol and unspeakable personal tragedy. His signature sound continues to paint the landscape of American music. As friend Billy Crystal puts it, Jack Sheldon is “the last cat standing” from the bebop generation. Trying to Get Good features historic footage of Benny Goodman, Stan Kenton, and on-camera interviews with Clint Eastwood, Billy Crystal, Merv Griffin, Dom DeLuise, Chris Botti, Dave Frishberg, Tierney Sutton, and multiple Academy Award© winners Alan Bergman and Johnny Mandel, along with never before seen performances by The Jack Sheldon Orchestra. Trying to Get Good exposes Hollywood’s best kept secret - when the stars come out to play, it’s Jack Sheldon who plays for them. Trying to Get Good takes a look deep inside the eternally tormented soul of an artist who’s not just “trying to get good” on the trumpet, but in his life as well. Watch the trailer For "Trying to Get Good"
Opening night. Jack Sheldon, Doug, Penny Peyser. March 5, 2008. I was executive producer of Penny Peyser's documentary Stillpoint, but it's really Penny's movie. 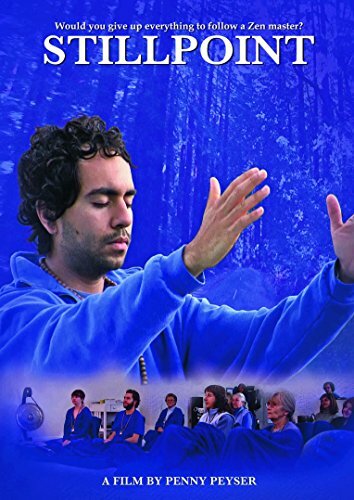 Stillpoint is a fly-on-the-wall look at an eclectic group of seekers living under the direction of an awakened Zen master named Umi. Removed from family and friends the Stillpoint residents, called as “the Sangha”, live an austere communal life while working towardspersonal enlightenment. Shot over two years Stillpoint offers a rare glimpse of a cloistered world divorced from the rat race, but not from the everyday challenges of the human experience. Most of us today panic if the WiFi goes down or we forget our phone charger. While we might occasionally dream of unplugging from the world, Stillpoint is the story of one eclectic group of seekers who made it their daily practice. Austere yet beautiful, Stillpoint documents the challenges we encounter when seeking spiritual enlightenment in a material world. Photographed over two-years Stillpoint offers a rare glimpse inside a cloistered world divorced from the rat race, but not from the everyday challenges of the human experience. WATCH THE TRAILER FOR "Stillpoint"
On stage at The Shrine Auditorium, Los Angeles. Bob Hope is dead, folks. He’s not coming back. So why not me? I’ve hosted on-stage conversations with entertainment icons Robert Redford, Betty White, Ron Howard, and John Cleese among many others as part of the California Distinguished Speakers Series and served as Master of Ceremonies for black tie events like the annual Los Angeles Political Roast, the Los Angeles Press Club Awards Dinner and the Cinema Audio Society Awards Gala. I’ve also written multiple live events including The Palm Springs Film Festival Awards Gala, The Palm Beach Florida Film Festival Awards Gala, the G & P Foundation Gala, The People for the American Way Awards Gala honoring Aaron Sorkin, the Discovery Arts Concert, The L.A. Junior Philharmonic Concert, The 7th & 8th Soap Opera Update Awards and many more. As an emcee I have three goals A.) Nobody gets hurt. B.) Lots of laughs and C.) Home by 10. If you’re interested in having me emcee your event, send inquires to: Sheri.Kelton@gmail.com.